Here I am in Halifax leaning on the sail of the Hammerhead. Not much fashion sense, and the clothes reeked of the submarine, an olfactory cocktail of diesel oil, ozone, cooking grease, cigar and cigarette smoke and raw sewage. Sewage was handled by taking the waste and storing it in a sanitary tank. When submerged, the tank, when full, would be pressurized with 700 psi air and the sewage would flow out the bottom tank valve to the sea, the operators being careful to ensure that none of the air left the ship (it would allow us to be detected). Then the problem of what to do with a tank full of high pressure stinking air was "solved" by venting it through an activated charcoal filter back into the ship, into the "people tank." The filter soon became overwhelmed, and was rarely changed. And the exhaust from the filter was right at the head of my rack in the three man stateroom. It would not have surprised me to see people crossing the street to avoid me in downtown Halifax. We loved Halifax, a beautiful welcoming city, a secret jewel. 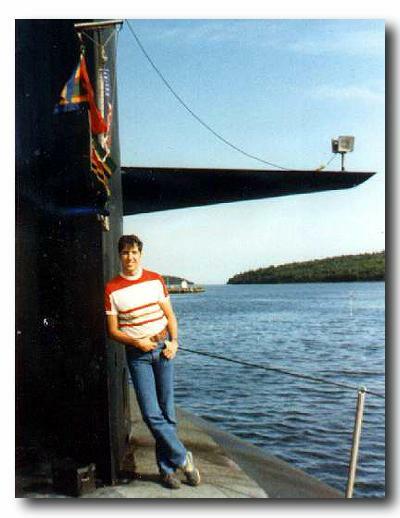 The Canadian submarine force was extraordinarily hospitable. I'd go back anytime.